When it comes to practical vehicle choices, the luxury sedan has been a crowd favorite for many years. Maybe this is thanks to their easily accessible, four-door configuration. Perhaps it’s because of the variety of choices and styles that sedans come in. Regardless of the reason, the luxury sedan has made a huge impact on the automotive industry. With advancements in technology and luxury, automakers producing more fuel-efficient vehicles, it doesn’t look like their popularity will fade anytime soon. Below is a list of the top 2016 luxury sedans on the market. 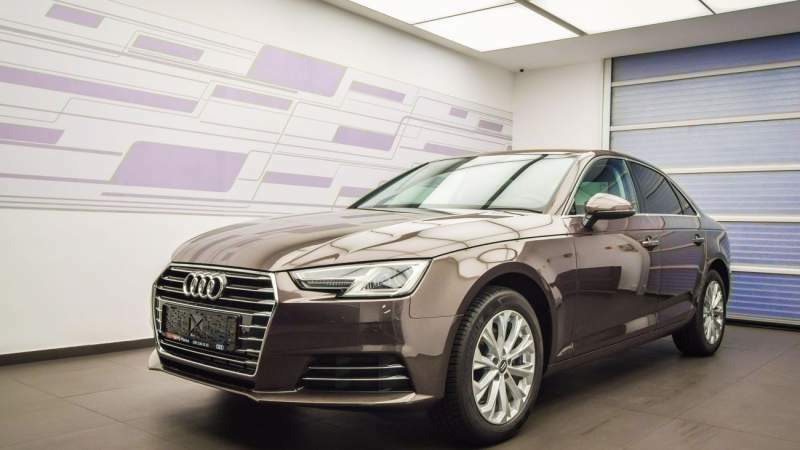 Audi has always been a luxury automaker, and it proved why with its 2016 Audi A4. The A4 packs a lot of power under the hood thanks to a turbocharged four-cylinder engine that produces around 220 horsepower. Despite offering all of this power, the A4 still offers competitive fuel economy, averaging a combined 27 mpg. The A4 comes with a CVT and front-wheel drive as standard. However, you can opt for the all-wheel drive model that can be paired with either an eight-speed automatic or six-speed manual. While the exterior looks like a luxury car, it’s the interior that takes luxury to another level. Featuring only high-quality materials, the A4 is built for style and comfort. It’s easy to see why the Audi continues to make some of the best luxury sedans on the market. The 2016 Acura RLX Sport Hybrid remains one of the best-kept secrets in the automotive industry. The car is overlooked because of other heavyweights in its class, but Acura really stepped up its game. • navigation system with voice commands. As the name suggests, one of the best features is its gas mileage. You can expect to get 28 mpg in the city and 32 mpg on the highway. This is impressive considering the car features a large 3.5-liter, V6 engine capable of producing 341 pounds of torque and 377 horsepower. This is one luxury sedan that delivers on all fronts. All you have to do is take one look at the BMW 750i Xdrive to see that it’s a luxury car. From its slick design to its high-tech interior, this BMW aims to please all. There are two main reasons this car makes the list. First is its outstanding technology, which can be controlled with simple gestures. That’s right, you never have to touch any of the controls in the car. Don’t have time to answer an incoming call? Simply wave it away with a hand gesture. Another reason is the power of the car. Featuring a V8 engine that process 445 horsepower, this sedan can go from zero to 60 in as little as four seconds. Of course, the car can even park itself without you inside. This luxury car proves once again that BMW is one of the best luxury automakers. Can you have a list of the best luxury sedans without having a Cadillac on it? Of course not, which is why the 2016 Cadillac CT6 is here. This sedan is cutting edge in every sense of the phrase. Featuring an aluminum construction to save on weight, the CT6 provides superior handling and control. This time around, Cadillac chose to shun the V8 for a more fuel-efficient turbocharged V6 engine. However, don’t think that the drop in engine size is going to hurt the power this car puts out. It’s still able to produce 400 horsepower with 400 pounds of torque. As far as technology, the CT6 aims to impress with a large 10.2-inch touch screen. You can interact with it using a touch pad located directly by the armrest. Best of all, this touch pad can understand handwritten letters. Oh, and if the security system is ever triggered, it starts recording 360-degree video around the car. Wait, a four-door Porsche? Yeah, Porsche has really been branching out as of late. They aren’t just making the little coupes that they’re known for. They also make SUVs, and now sedans. While this car features some great technology, it’s built for people who want to go fast. This Porsche has a 4.8-liter, V8 engine that can produce 570 horsepower. It can produce 590 pounds of torque and go about 192 mph. It is all-wheel drive and features a seven-speed dual clutch manual transmission. When you drive this car, you may be driving a sedan, but it won’t feel like it. The XJR LWB is one of the flagships of Jaguar, and the 2016 model is no different. This time, the sedan comes packed with power thanks to a V8 engine that can produce 550 horsepower. The inside is very roomy and the seats can save up to four seating positions. The interior is made out of some of the finest materials ever used in a Jaguar vehicle, and the exterior was designed with style in mind. While the fuel economy takes a hit due to the sheer power of the engine, offering only 15 mpg in the city and 23 mpg on the highway, the XJR LWB makes up for it with technology. The inside features such comforts as dual climate control, an 8-inch touch screen media display and a Wi-Fi hot spot. If you wanted proof that not all luxury cars have to cost an arm and a leg, then look no further than the 2016 Kia K900. The 2016 Mercedes-Benz S550 is a luxury sedan that takes every passengers’ comfort into account. That’s why this car features rear-seat controls and tray tables in the back. It also features a cabin fragrance system that keeps your car smelling nice. However, Mercedes-Benz wasn’t happy just focusing on these minor details. It also wanted to give this sedan a little kick with a 4.7-liter, V8 engine that produces 449 horsepower. Whether you’re a passenger in the front or in the back, this is one sedan that aims to please everyone. Any of the vehicles on this list are well worth your time and money. While numerous other cars could have made this list of the top 2016 luxury sedans, it provides you with a great starting point. From power to high-tech technology, these sedans have it all.